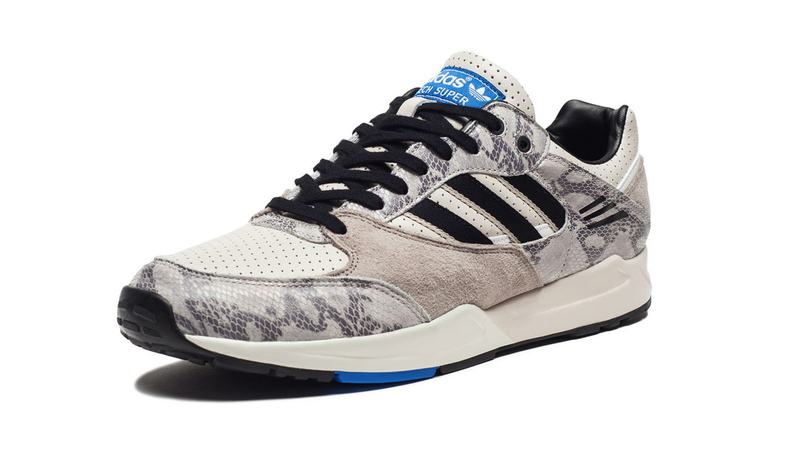 adidas Originals Tech Super - "Grey Snake"
The adidas Originals Tech Super gets a reptilian makeover, arriving this week in a new snakeskin-equipped colorway. 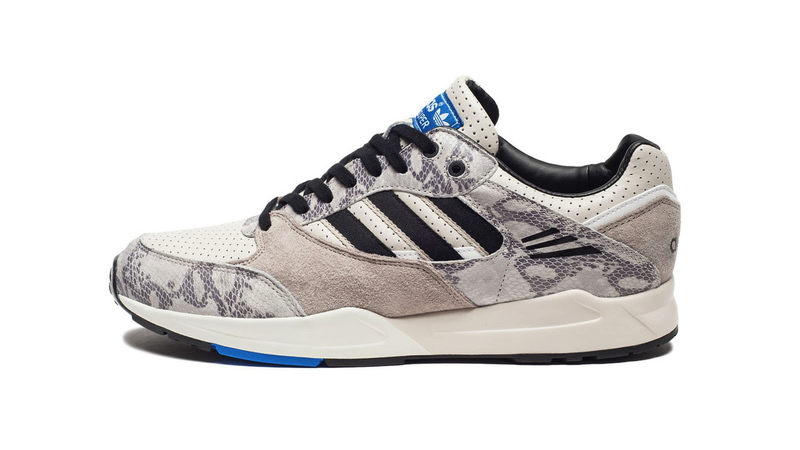 The adidas Originals Tech Super gets a reptilian makeover, arriving this week in a new snakeskin-equipped colorway. 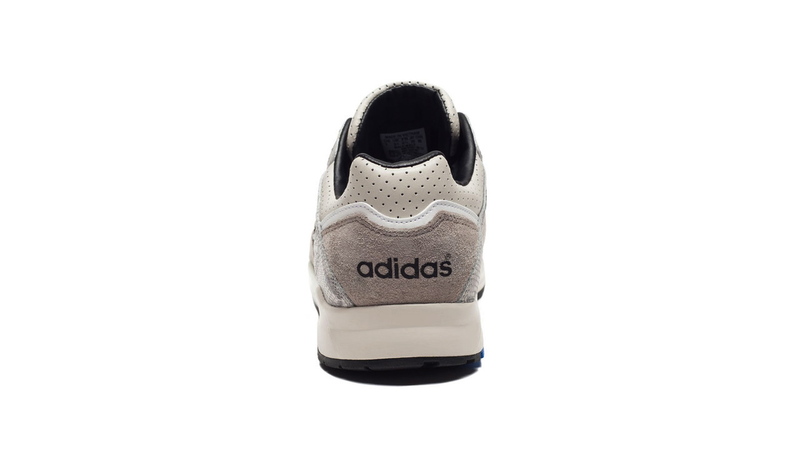 The "Grey Snake" Tech Super features a grey perforated leather base, complimented by grey suede and snakeskin overlays. 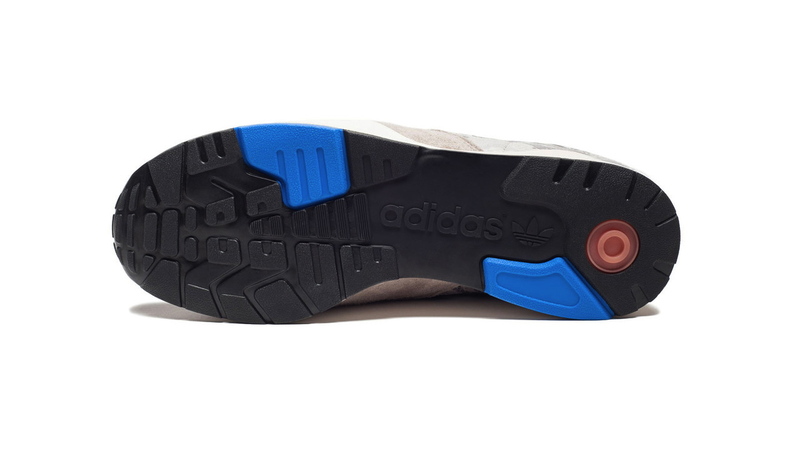 Black and blue accents add further depth to this solid Originals offering. 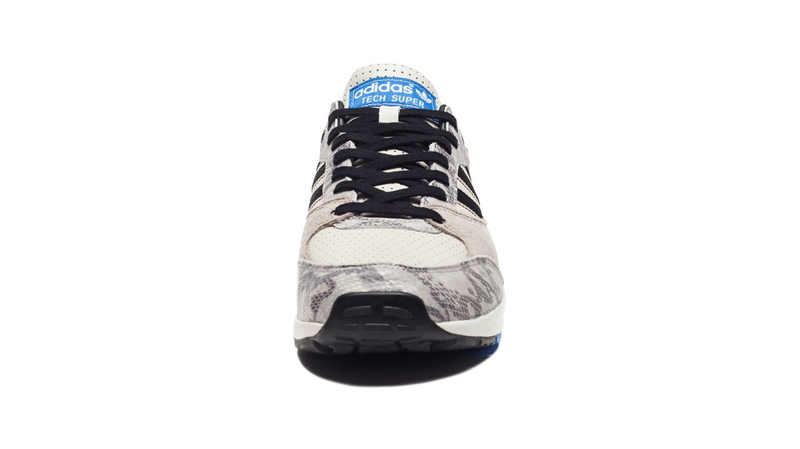 The adidas Originals Tech Super "Grey Snake" is available now at Originals retailers, including online at Undefeated.